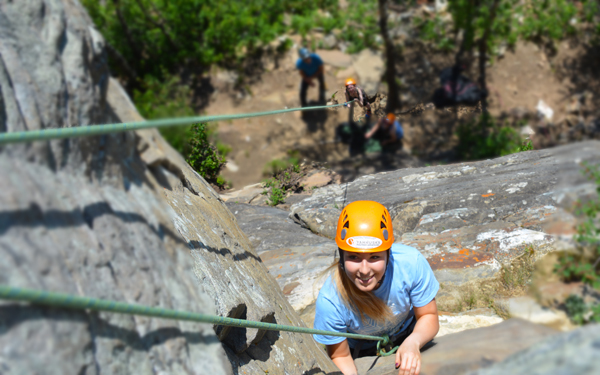 This fun and relaxed day on the rock is designed for beginners and those who have never climbed before. 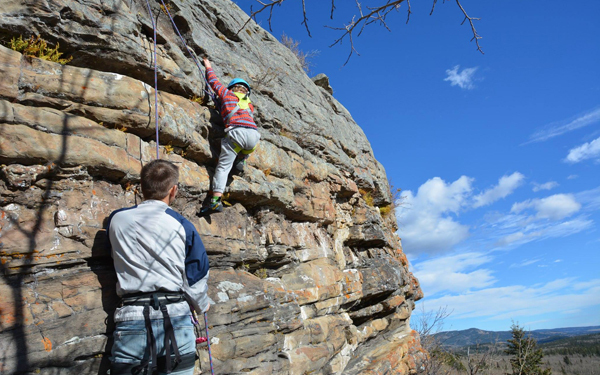 In our beginner outdoor rock climbing lesson, you will learn basic safety and top rope techniques for climbing outdoors in addition to being coached on basic rock climbing movement skills. 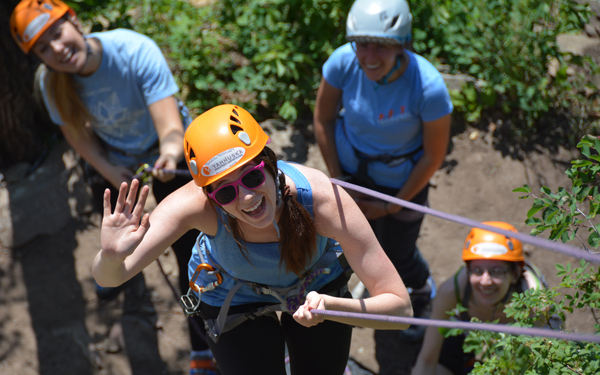 We welcome beginners, locals, families, individuals and groups. 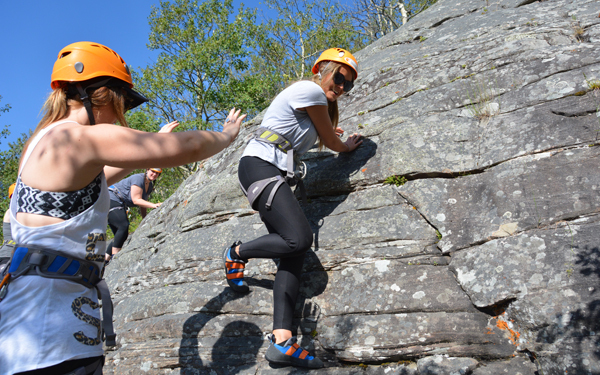 The primary objective of our climbing basics lesson is to have a fun and safe day where participants can get outside, do some physical activity plus take away new skills and experiences. 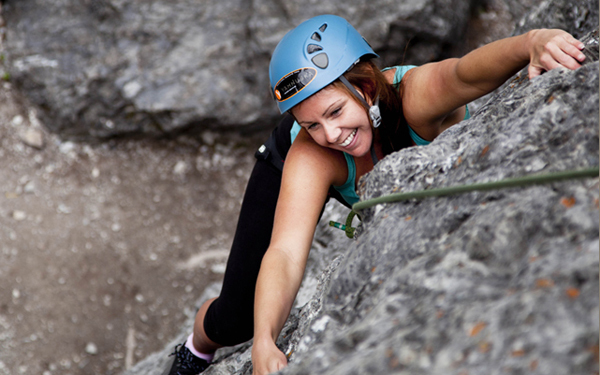 The Canadian Rockies surrounding Banff, Canmore and Lake Louise are a rock climber’s paradise with climbs and areas suitable for every level of climber. 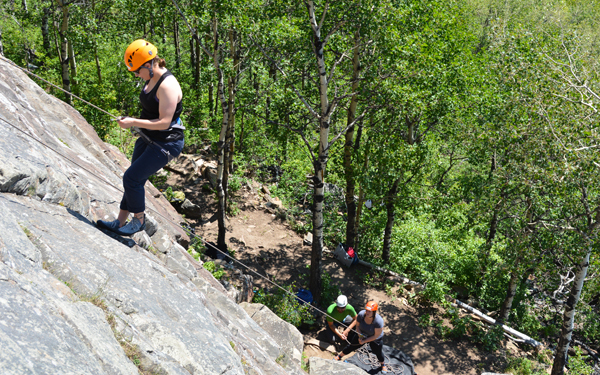 Outdoor rock climbing is an unbelievably exhilarating sport and we invite you to learn sport and rock-climbing basics for beginners with Yamnuska Mountain Adventures. 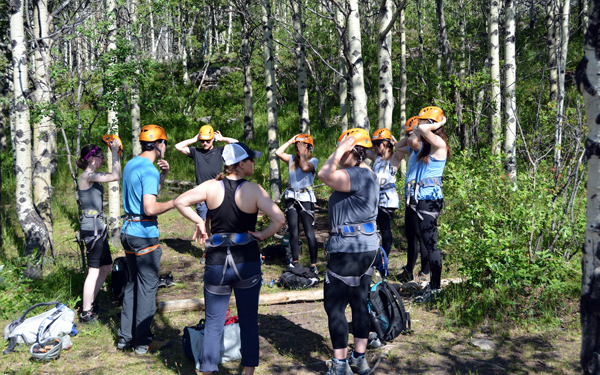 Full-day or half-day lessons are available for individuals or groups in the Banff, Canmore and Lake Louise (full-day only) areas by request. 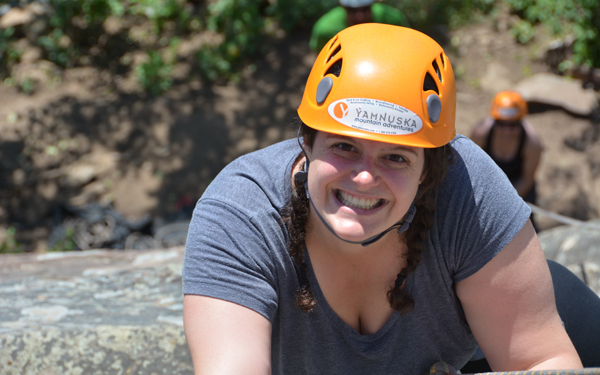 Lessons can be booked by individuals, families or groups. We can accommodate children 5 years and older with a guardian. 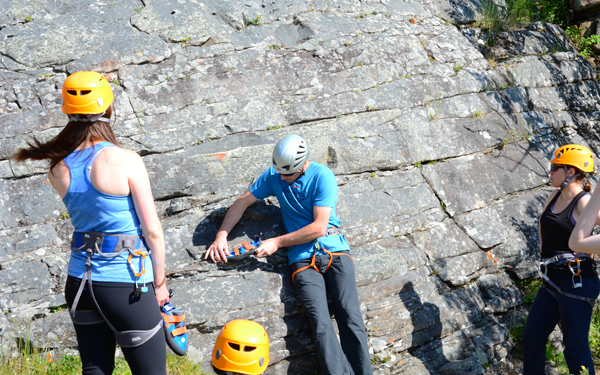 Private guiding is a very effective way to accelerate skills development. 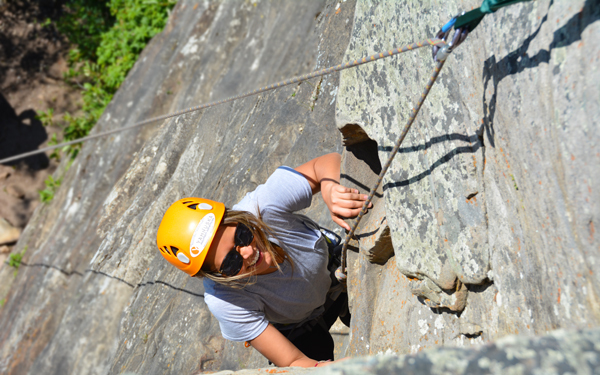 Our certified guides will give you focused instruction and coaching to quickly increase capability and confidence. 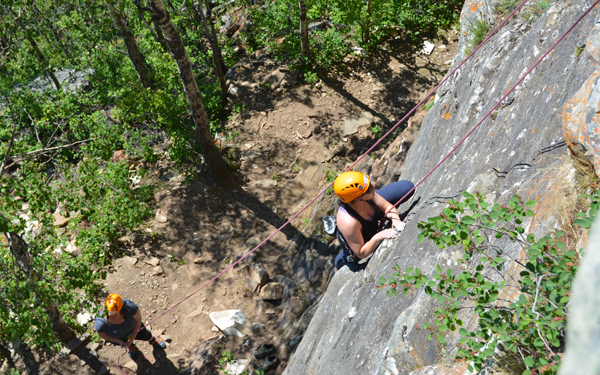 Banff Rundle Rock: Next to the Banff Springs Golf Course, this is a great spot for first time rock climbers. Suitable for full and half day climbing. 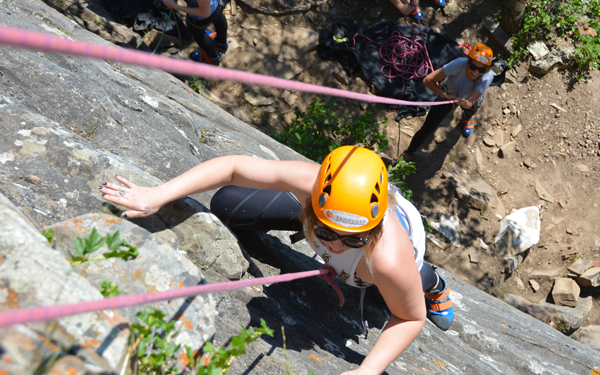 Nearby Rundle Ridge allows for an easy multi-pitch climb and rappel for those with a whole day. Yamnuska Bluffs: 20 minutes drive from Canmore. Excellent beginner location for full or half-days. Wasootch Creek: 40 minute drive from Canmore. 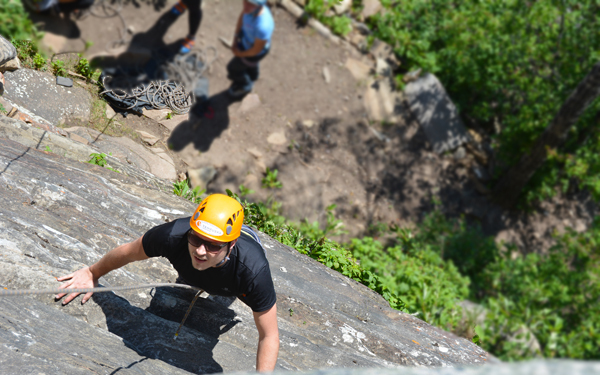 Good variety of climbs, due to driving times this location is more suitable for full-day programs. 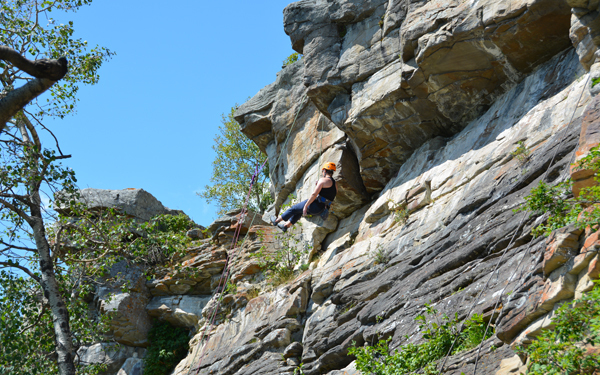 Top rope and sport climbing venue. Lake Louise: A spectacular and famous climbing crag at the head of Lake Louise. 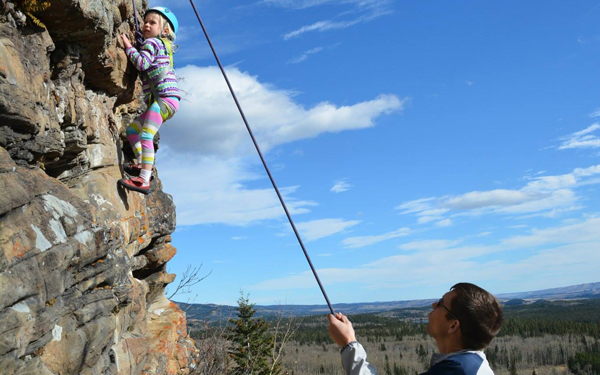 Due to driving and approach times available for full-day climbing only. We will arrange this with you when you book. Generally the morning sessions begin at 8:30 am and the afternoon sessions at 1:00 pm. A full day program generally begins at 8:30 am. 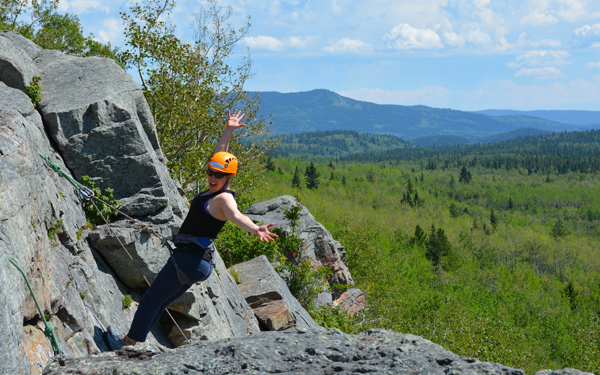 Instructors are certified guides licensed to operate in the National and Provincial Parks. 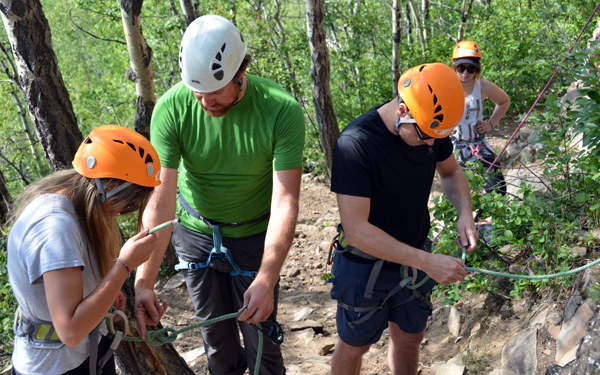 They are certified by the Association of Canadian Mountain Guides. Transportation is not usually included. Clients generally provide transportation for the guide. 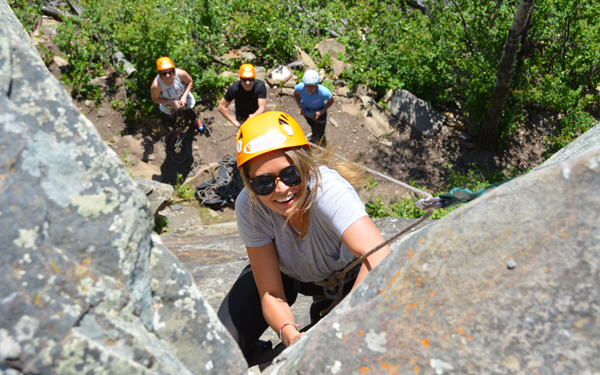 If there is a vehicle available, Yamnuska can provide transportation for a pick-up in Banff or Canmore at an additional cost of $75 plus a fuel surcharge if climbing anywhere other than Rundle Rock. Running shoes or hiking boots. Please email or call the Yamnuska office at 1 866 678 4164 (Canada USA only), +1 403 678 4164, or local 403 678 4164. Full payment required on registration. Full Day: Included are instruction, use of equipment, and rock shoes. 5% GST & gratuities extra. Half Day: Included are instruction, use of equipment, and rock shoes. 5% GST & gratuities extra. These can be arranged for individuals, families and groups. They are customized to meet your specific needs and objectives. 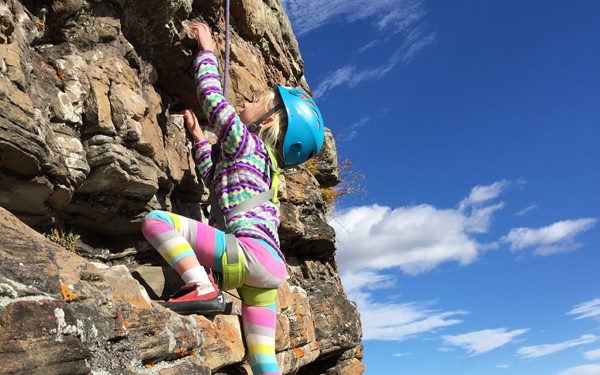 They can be at beginner or advanced levels or focus on specific aspects of climbing such as sport climbing, trad leading, multi-pitch climbing or instruction for kids. Courses can be for one or several days.